Carbon fibre braided sleeve available in a range of lengths. The sleeve diameter can be varied by clenching or stretching. Delivered in stretched condition. 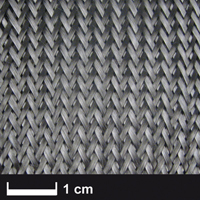 For technical reasons it is not possible to wind up the braided sleeves in a fibre angle of 45°, as the amounts differ on the length at 45° for packaging.